Once the download is finished, open the .zip file and double-click the Admiral-MT4-Apps.exe file inside the .zip archive to execute it. This should initiate the installation assistant. right-click its name and choose Attach to a chart from the context menu. Note: you can only run one EA per chart in MT4. If an EA is already running on a chart, adding the Trade Terminal will replace the existing EA. To run both the Trade Terminal and another EA, simply open more than one chart. 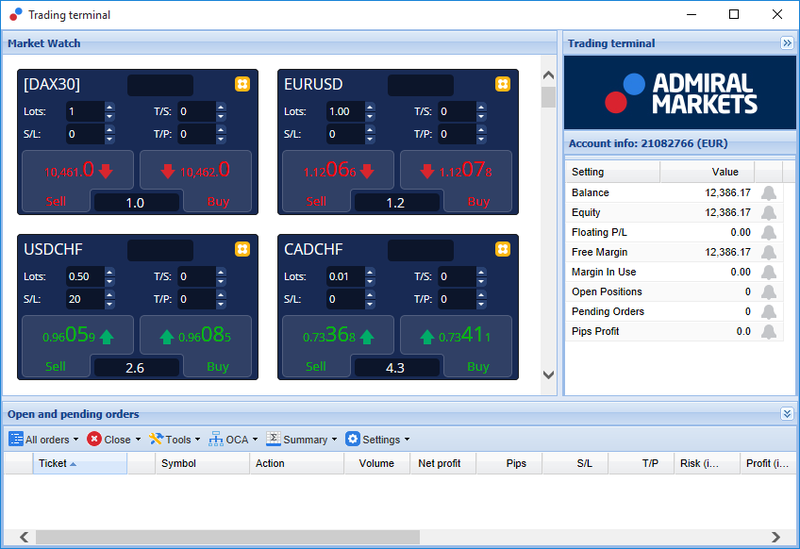 As mentioned before, some of the Admiral Markets indicators can be used on Mac OS X, this includes: Global Opinion, Candle Countdown, High-Low, Local Time, Order History, Pivot and Spread. To receive the install files for Mac, please contact our customer support team. once this is done, start MetaTrader 4. These revolutionary new trading tools harness the power of news sentiment on a global scale, by detecting subtle, but significant, changes in the undercurrents of the financial markets. Reading and contextualising millions of financial news stories and social media content every day, these tools give traders an unrivalled, dynamic perspective on the changing mood of market participants. 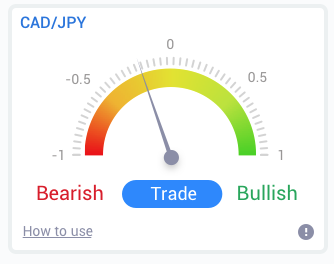 The Global Opinion tools drastically reduce the amount of time and effort that traders need to spend on daily research; highlighting the best assets to trade and signalling the changes in sentiment activity that are likely to directly impact trade success. The Market Alerts tool is specifically designed to surface new trade ideas that are often too difficult to be identified using traditional tools. Suitable for traders of all experience-levels, finding new trade ideas is very easy with the availability of a number of filtering options which can be used to highlight the trades that most suit your trading style, asset preference and risk appetite. 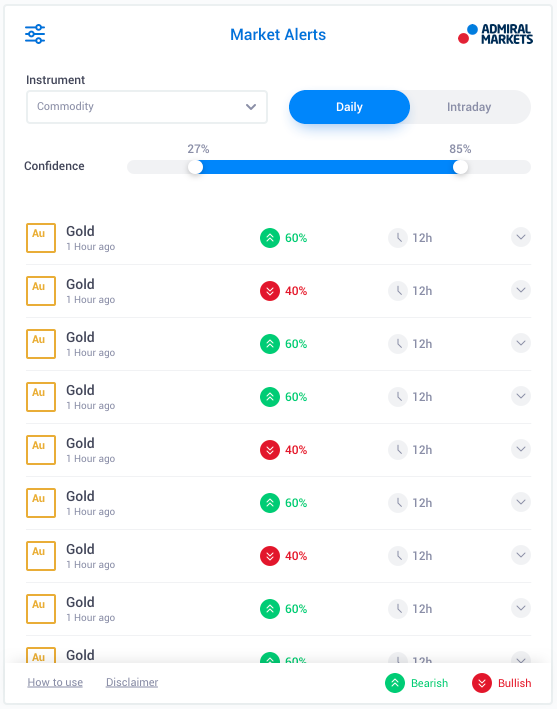 Triggered by substantial short-term changes in news sentiment, the tool compares these levels to historical events, determining the effect they had on price and how quickly the changes occurred, helping to predict reversals or continuations. Combine Market Alerts with Radial and Linear Gauges to create an even stronger indicator. When both tools are in agreement, the probability of a price movement is higher. Global Opinion Linear and Radial gauges can provide you with a no-nonsense indication of market consensus towards your chosen asset. This can help corroborate or build confidence in your trading ideas. As the tools use sentiment data rather than price, they are a powerful additional indicator which can be used alone, or alongside your existing trading tools, to uncover trading opportunities. 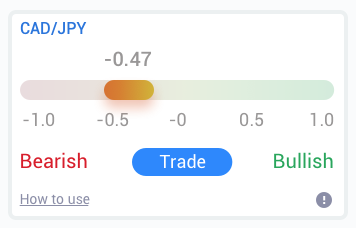 Alternatively, once you`ve placed your trade, these tools can act as an excellent monitoring tool, helping you determine when to exit a trade. With speed-o-meter styling, the Radial and Linear Gauges provide an instant visual snapshot of how sentiment is building compared to the last 30 days – or your preferred time scale. Display single or multiple assets in a single view; select the sentiment type* you wish to monitor and the period you wish to compare against. If using within MT4, gauges will hover on your charts. This should set all your EAs to whatever language you need. Is this extension available for Mac OS? Not at the moment. Is this extension available for MT5? Not at the moment. Why do the Supreme Edition features stop functioning with my demo account? When you see a notification saying To continue using Supreme Edition, please apply for real account, the 30 days of free usage for our Supreme extension have run out. You may contact our customer support and request a permanent activation of these features for your demo account. 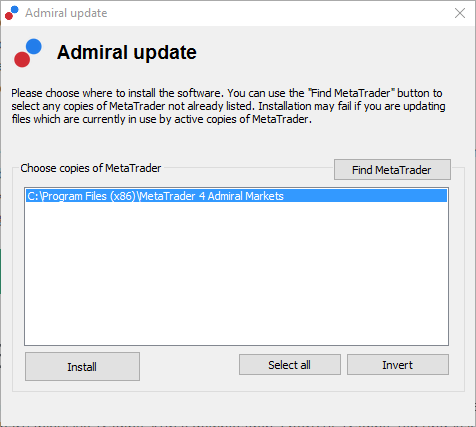 Can I remove selected plug-ins from my MetaTrader? Yes, you can simply right-click any plug-in in the navigator window and select Delete from the context menu. Feel free to visit our YouTube channel (in English), featuring live trade recordings, tutorials, about Global Opinion widgets and many other topics.